Â William Harten, Jr. US Navy Cornetist. 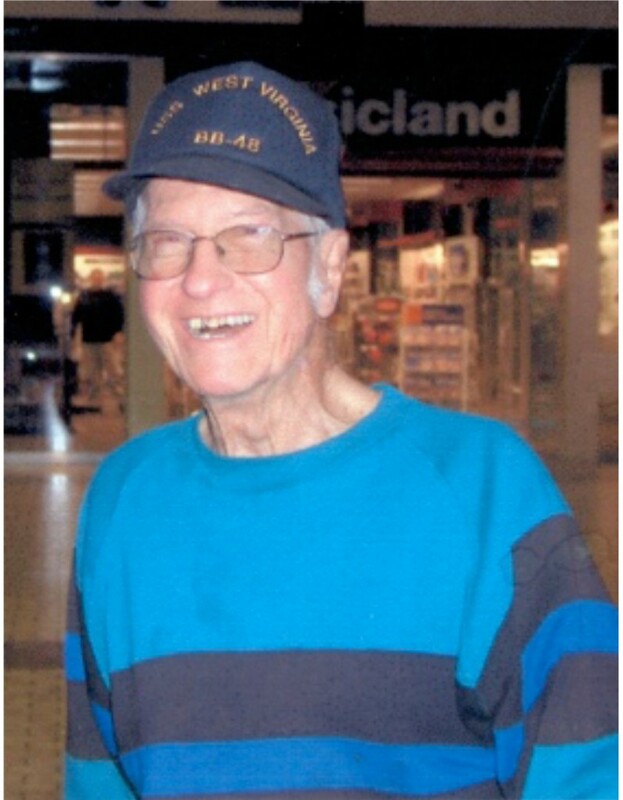 William Harten, Jr. was a WWII veteran who served in the U.S. Navy prior to WWII, trained at the Navy School of Music in Washington, D.C. from 1940-1941 and then served as a musician during the war. Both Bill and his cornet became survivors of the attack at Pearl Harbor and of their ship, the USS West Virginia. 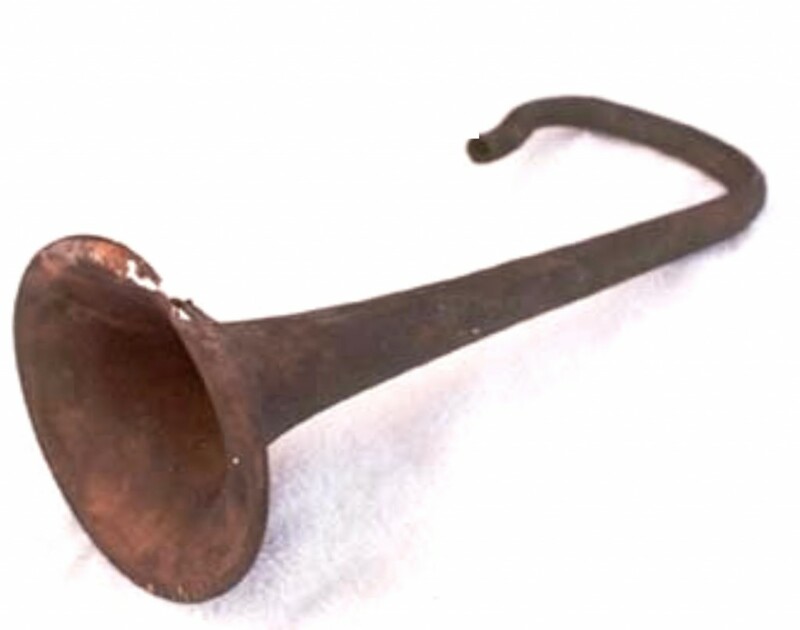 This special horn has appeared with Bill in TV and news interviews over the years, always leaving a lasting impression of the effects of war on individuals, lifestyle, country, and traditions. 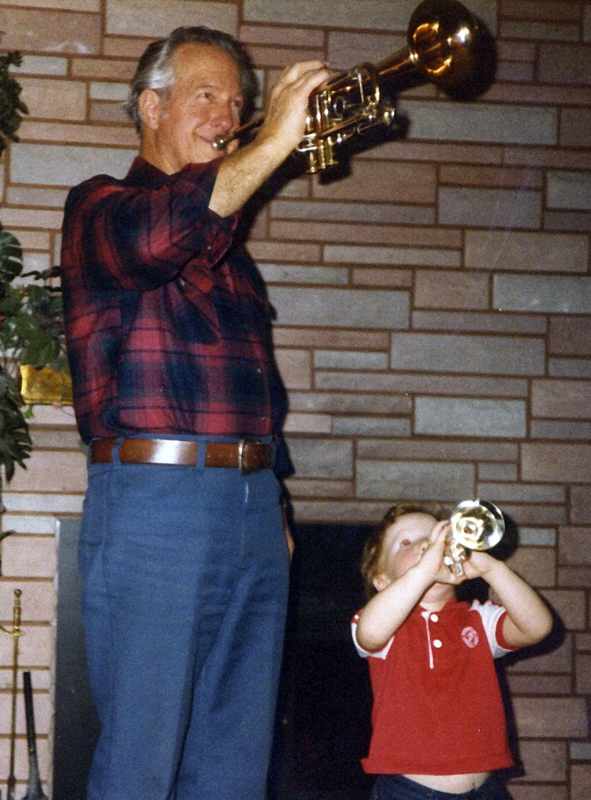 Those listening may have not always remembered the words he spoke, but few ever forgot the impact his “Veteran Horn” left on their hearts and in their minds. Bill was born in Pocatello, Idaho on March 15, 1921. 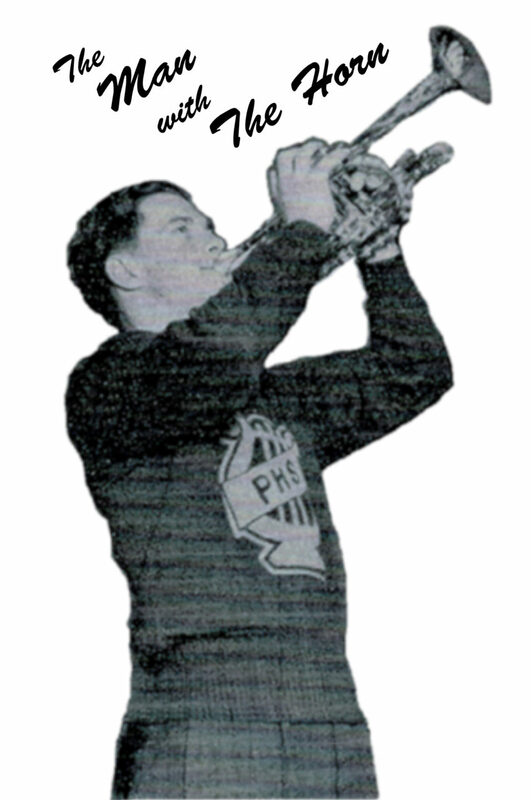 His brother, Kenneth Harten, first introduced him to the trumpet as a young boy. 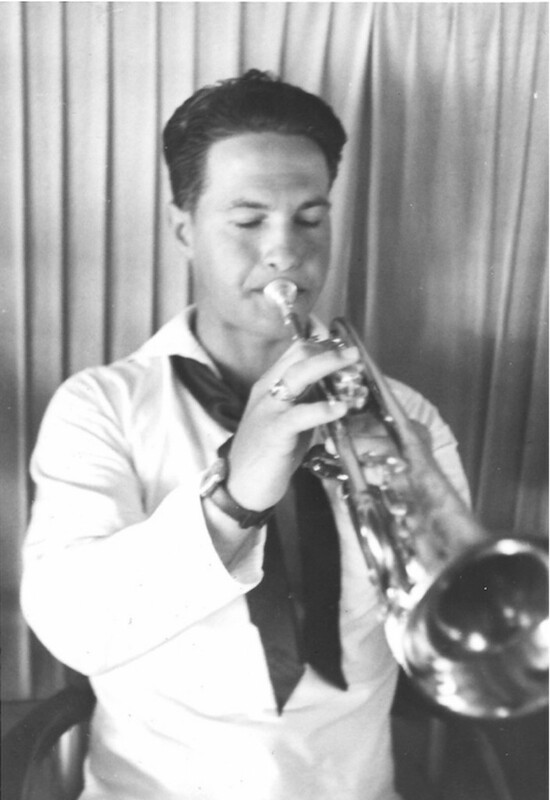 Bill earned his cornet in high school in the middle of the Great Depression to enable him to support himself and contribute to his motherâ€™s care. 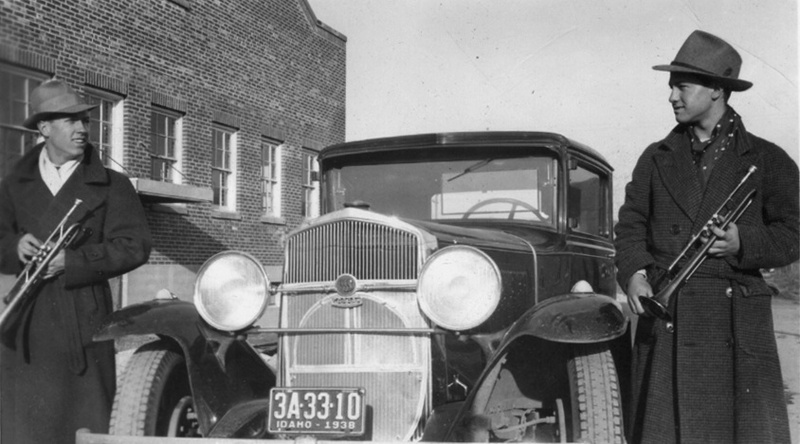 He played in the symphonic, concert band and pep bandÂ in High School and was the Pep Band leader during those years 1937-1940. His horn was part of his education about life and the pursuit of happiness and independence, while bringing joy to others through its golden tones that he played so well. It gave him a positive sense of who he was. 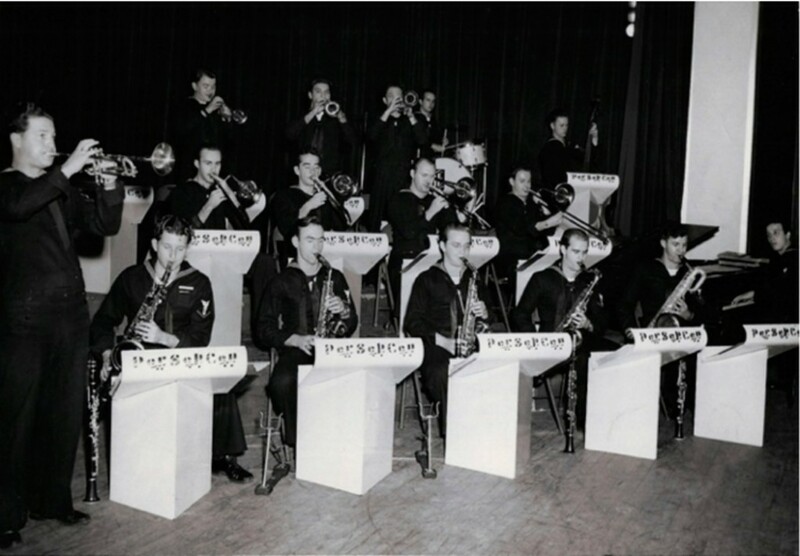 While at Pocatello High School Bill assembled some top-notch high school musicians who became known as the â€œSwing Kings.â€ They played for dances and other school and civic events, the musicians being also in the school band, orchestra, and symphony. Bill played his cornet, helped find and arrange music (since it was rather scarce), and was also the main singer. 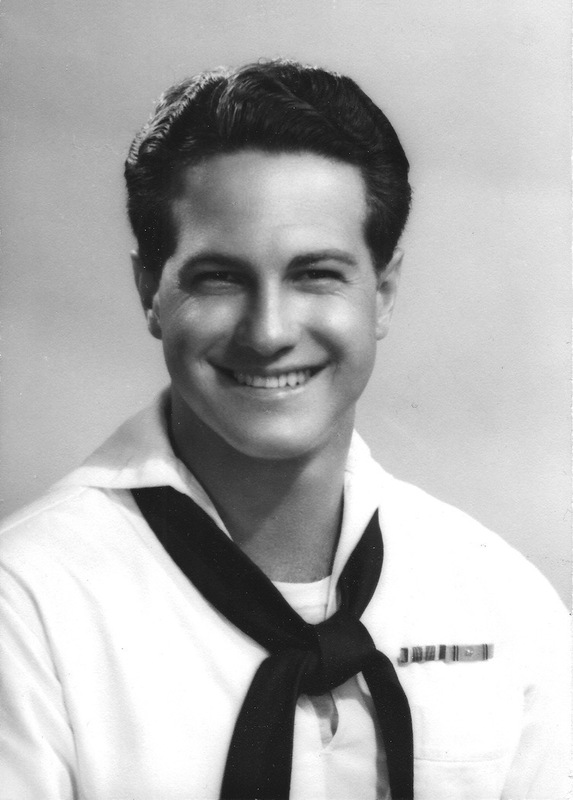 He graduated from Pocatello High School in 1940 and joined the US Navy and was assigned to the Navy School of Music in Washington DC. During Bill’s time at the Navy School of Music he played this horn for numerous military funerals at Arlington National Cemetery, and also for the inauguration of President Roosevelt in Jan. 1941, marching and playing his cornet in the inaugural parade as well as the inaugural ball, and at other official Presidential events like the annual White House’s Correspondents’ Dinner. 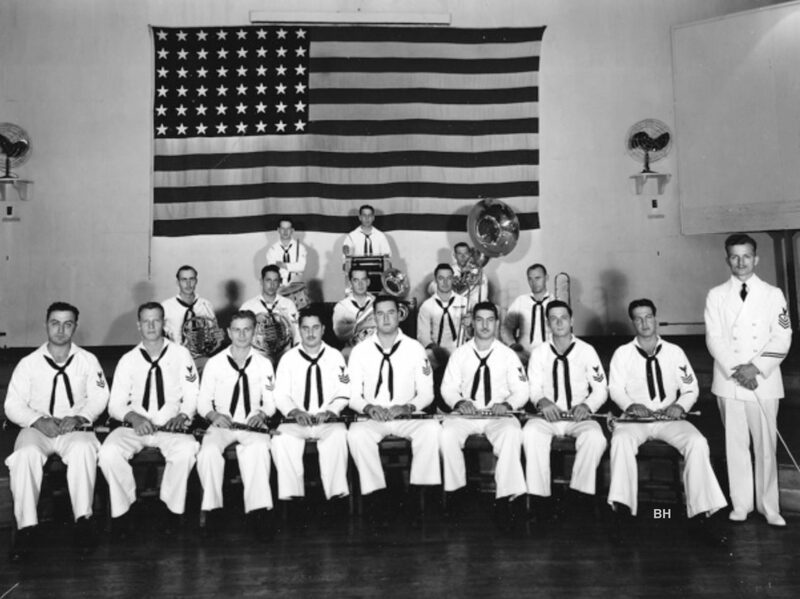 Upon graduation from the Navy School of Music in late spring of 1941, as a Musician Second Class, he was assigned to the USS ArizonaÂ stationed at Pearl Harbor. Shortly before the attack on Pearl Harbor he was requested for reassignment aboard the USS West Virginia and was serving aboard as the Assistant Bandmaster and Communications Specialist when Pearl Harbor was attacked. The cornet went with him when he was initially assigned to the US Naval Band aboard the USS Arizona at Pearl Harbor in Oct. 1941. He cared for it like for a family member, cleaning and securing it each night in his footlocker in their rehearsal and living quarters aboard the USS West Virginia. Just a couple of weeks later he was transferred to fill the need for a first cornetist on the USS West Virginia, a simple reassignment that would save Billâ€™s life. On Saturday Dec 6, the evening before the attack, Bill and the band of the USS West Virginia attended a â€œBattle of the Bandsâ€ featuring the bands of the USS Argonne, USS Pennsylvania, USS Tennessee, and the band from the Submarine Base, filling in for the USS Detroit band. This was a semi final contest that featured many fleet bands. The members of the USS Arizona, USS Pennsylvania and the USS West Virginia bands attended this battle but did not play, despite popular legend. He and his horn were aboard Dec. 7, 1941 when nine torpedoes hit and sunk the USS West Virginia. He barely escaped and swam through burning oil to Ford Island, saving a drowning sailor along the way. 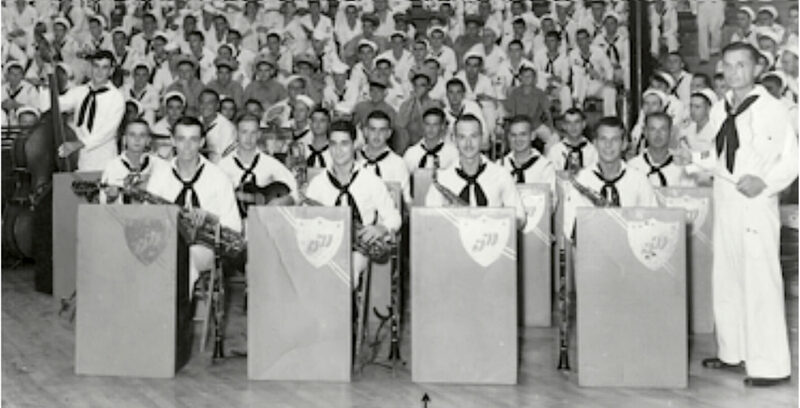 His fellow musicians and classmates aboard the USS Arizona, assigned to duty handling the 70mm munitions, were killed at the initial bombing of that great battleship.Â Bill’s Navy School of Music graduation log book has most of the signatures of these young Navy musicians, looking forward, with Bill, to their musical service in the Navy. It is eerie to know that their lives would soon be cut short in one fell swoop. He used his own military pay to purchase another suitable cornet as quickly as was possible so he could regroup with his band and make the music he loved to bring joy to those who were suffering all around him. Three years and many music assignments and travels would pass before he received an unexpected check reimbursing him the $350.00 for the loss of his precious instrument. Â Their bandmaster had been hospitalized with injuries from the attack. As assistant bandmaster, Bill worked to locate and reorganize band available members, rehearsing them and new replacements so the U.S. 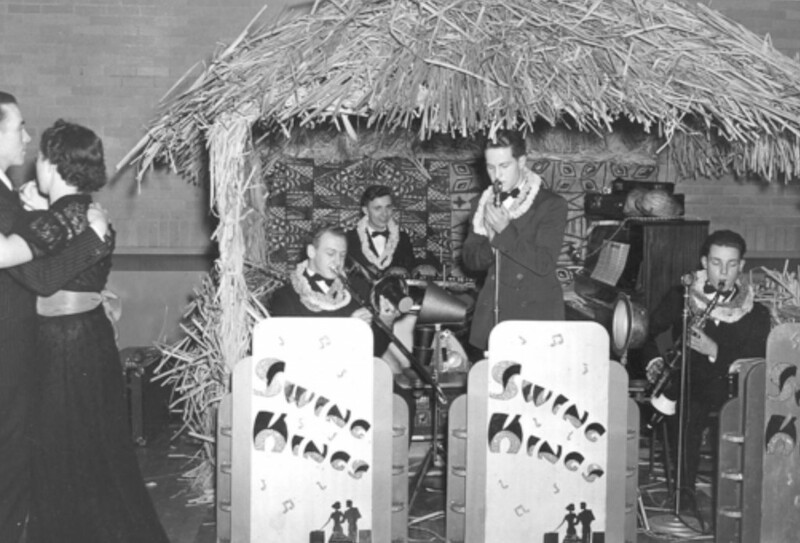 Naval Band could perform as soon as possible to improve morale on base and as fleet activities resumed at Pearl Harbor. 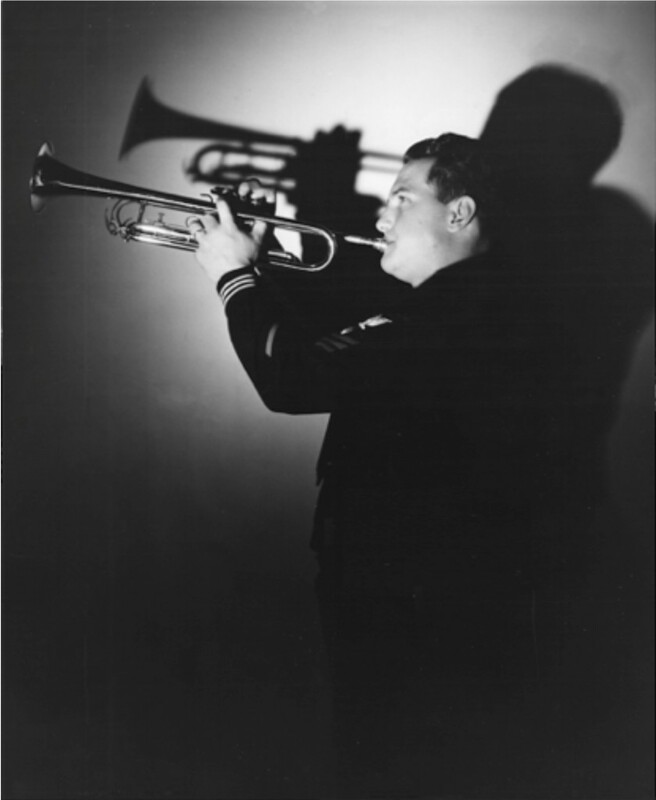 As Musician First Class, Bill served almost four years at Pearl Harbor, never receiving leave to return home during those years (because his musical services were considered vital) with the US Navy Band there and as Assistant Band Master. 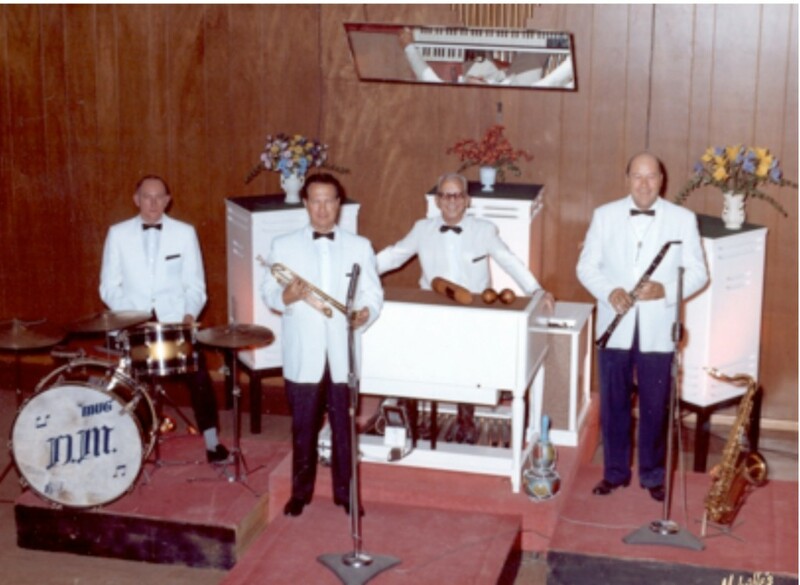 He played before honored U.S. leaders and guests at various historic events at Pearl, and with celebrities and their bands and traveling to do USO shows in the Pacific, and as soloist and band director on the Navy’s regular radio show which was broadcast to troops across the Pacific. â€¢ teaching, training, and refreshing other Naval musicians at the Navy School of Music. For the next 55 years of his civilian life in Idaho he played “Taps” at countless civic events, often in duet with his brother, or other veterans. He performed this beloved service at countless funerals for our veterans until his retirement at the age of eighty. Bill was first and foremost a musician, a fantastic trumpet player, known throughout the inter-mountain area for his quality music and entertainment, and also wonderful singing. 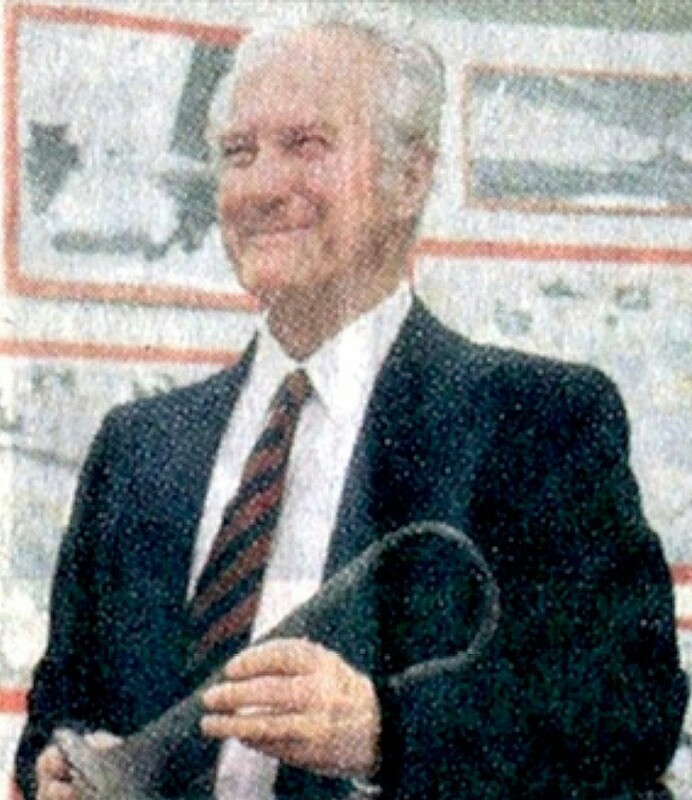 More importantly he was greatly appreciated for his sixty years of service to countless families as they laid a beloved family veteran to rest, and for using his unusual “Veteran Horn” to teach younger generations over the years the lessons and tragedies of war and enduring to serve. Bill passed away June 30, 2004. Copyright Â© 2011 Valerie Harten Briggs. All rights reserved. This entry was posted on Monday, December 5th, 2016 at 6:33 pm	and is filed under Bugle Stories, Buglers Through History, General Interest, History of Taps, News. You can follow any responses to this entry through the RSS 2.0 feed. You can leave a response, or trackback from your own site. Wonderful to read! I wonder if he knew my dad, Spencer Collmann who played the trumpet from 1943 to 1945 in the Navy Ceremonial Band and was stationed in Washington DC?? What if? What if Bill had stayed with the Arizona and not been transferred? What if the ship had not been counter-flooded in time and capsized? What if the bomb that hit #3 turret had exploded? What if he misjudged the flames on the water when he jumped overboard? What if he drowned swimming to Ford Island? What if he was sent to a hot battle zone, instead of being assigned to R&R shack-The Breakers? What if he had met someone else to marry in Hawaii, instead of his high school sweetheart?